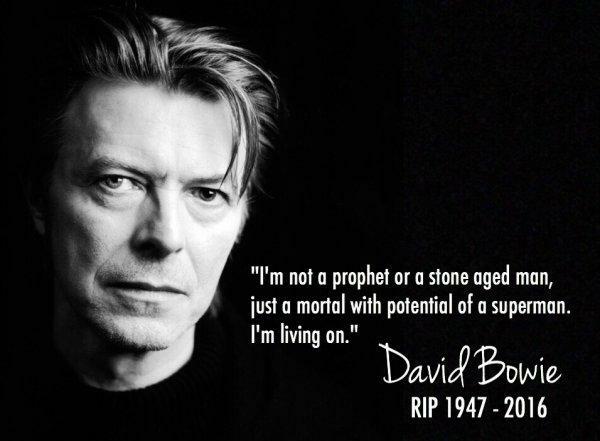 10th Jan, English singer, songwriter, multi-instrumentalist, record producer, painter, and actor David Bowie died from liver cancer at his New York home two days after releasing the album Blackstar on his 69th birthday. His first UK Top 40 single was the 1969 ‘Space Oddity’ which became a UK No.1 in 1975, plus Bowie scored over 50 other UK Top 40 hits including five No.1’s. Bowie has also scored two US No.1 singles, the 1975 ‘Fame’ and 1983 ‘Let’s Dance’. Plus two albums with Tin Machine in 1991 and 1992. His music and stagecraft significantly influencing popular music and during his lifetime, his record sales, estimated at 140 million worldwide, made him one of the world’s best-selling music artists. 17th Jan, Dale Griffin, drummer for rock group Mott The Hoople died aged 67. He was a founder member of the group, best known for classic tracks ‘Roll Away The Stone’ and ‘All The Young Dudes’. The band, who made eight albums during their five-and-a-half year existence, reformed to mark their 40th anniversary in 2009 – but Griffin was too ill to take part.